Baseball fans headed to Dodger Stadium for the World Series games on Friday and Saturday should prepare for heavy traffic and be aware of parking restrictions around the ballpark that could get you towed, the LAPD warned today. The 3rd and 4th World Series games (and a 5th on Sunday if necessary) are scheduled to begin shortly after 5 pm. 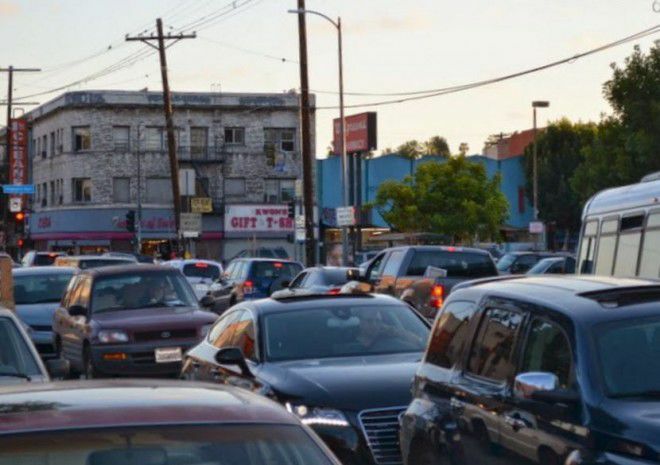 But the Los Angeles Police Department advised motorists that a large area surrounding the ballpark — from Glendale Boulevard on the west, Riverside Drive on the north, Broadway on the east and Temple Street on the south — “should be avoided whenever possible” between 2 pm and 11 pm. For motorists planning to avoid paying $40 to park at the stadium (yes, $40) by finding a free spot on nearby streets, you might have to park farther away than you expected. Many of the streets surrounding the stadium will be placed under “Tow-Away, No Stopping Anytime” restrictions between 6 am to midnight on game days, police said. 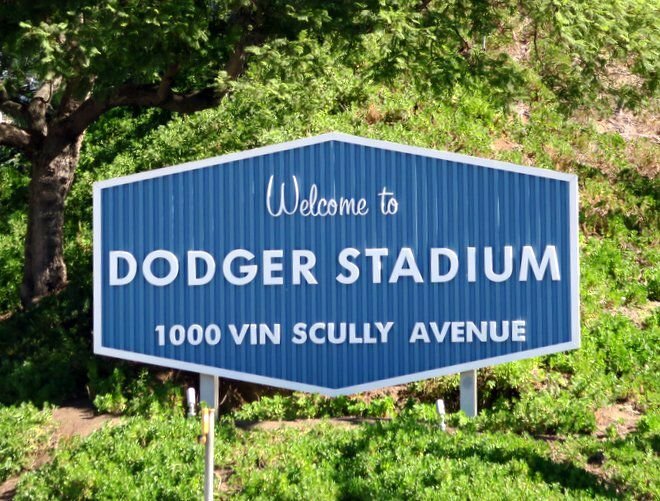 That includes a section of Stadium Way known as Avenue of the Palms, which is a traditionally a popular pre-game party and picnic spot for Dodger fans. Speaking about those picnics and parties, the LAPD reminded that tailgating is not allowed in the stadium property and officers will be patrol to enforce bans on drinking alcohol in public and parks.